A few pages into this book and my daughter realized this was unlike any of the books she had previously read. It's a dystopian novel for middle graders. It's set in the future, where The Alliance has been waging a long-standing War with the United States, natural disasters and pollution have destroyed most of the South, and natural resources are lacking. 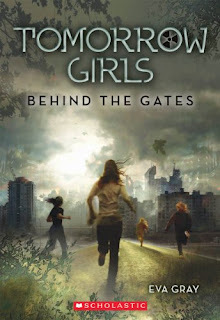 Thirteen-year-old Louisa and her best friend, Maddie, are being sent to an all-girls boarding school named Country Manor School for protection. Right from the beginning, suspense builds as the staff confiscate all electronic devices and enforce strict rules. Louisa and Maddie share a room with Evelyn, who is suspicious of everything that goes on at the school, and Rosie, who is a popular athletic girl. Tension builds as the girls must learn to get along, accept each others' different feelings about the school, and deal with being away from home. Louisa loves being at CMS because of the fresh air, being in the outdoors, learning survival skills and making new friends, whereas her best friend Maddie is moody and doesn't share Louisa's enthusiasm. Not everything is as it seems at CMS, and a camping trip culminates in the revelation of a dangerous situation for the girls. They must now depend on one another to survive. My daughter and I really liked this book. It was intense, suspenseful, and dealt with issues most young teens can relate to—wanting more freedom, friendships, self-esteem, trust, and learning to make the right choices. The story is fast-paced without compromising characters development or plot. The only thing that had us scratching our heads was The Alliance. There is not much explanation about it and my daughter bombarded me with so many questions about it. I could see she was trying to reconcile Louisa's world in her head, trying to understand how things ended up in those circumstances. The story has a to-be-continued type of ending that left my daughter and I in anticipation of what's to happen next. Unaccustomed to such a cliff-hanger ending, though, my daughter was frustrated that the girls' situation was not resolved at the end of the book. 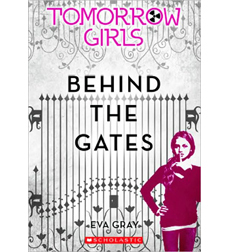 Behind the Gates is the first book of four that will follow in the Tomorrow Girls saga. There is no doubt about it, we are anxiously awaiting the next one. Note: There are two different book covers for this book, so I thought I'd include both here. I'm glad to see this is so good since it's in my TBR pile. i just came across your blog.. i'm not even sure how :) ... but I am so glad that i did!!! i LOVE reading, but i can't stand getting into a "good" book and all of a sudden I get a good shock at the content and Have to put the book away and take it back to the library. it's very disappointing. Merianne, thanks for your kind words and for becoming a follower! 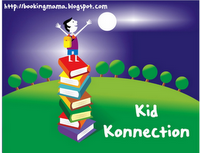 Comments like yours make my day and help me stay dedicated to my blog's theme. I just received this one last week. I admit that I didn't really check it out until reading your review!